Two Creston residents and a former congresswoman are behind a budding citizen ballot initiative to ban groundwater sales and exports out of San Luis Obispo County. BANKING BAN Storing groundwater in agricultural ponds for the purpose of sale or export would be prohibited under a new proposed ballot initiative. Filed with the County Clerk-Recorder's Office in mid-December as the "SLO County Groundwater Protection Ordinance," its backers—Greg Grewal, Frederick Hoey, and Andrea Seastrand—say the measure would provide needed "insurance" against the potential actions of two new water districts that recently formed to manage groundwater in the sprawling Paso Robles Groundwater Basin. "The Paso Robles Groundwater Basin is one of the largest groundwater basins in the western U.S.," their initiative reads. "Special interests have identified this groundwater basin for manipulation and an opportunity for generating private profits." Their ordinance stipulates that, "no groundwater shall be pumped from any basin for export outside of SLO County or for transitional storage leading ultimately to export." It prohibits exporting groundwater out of the boundaries of the basin where it originated, and disallows any public agency from granting permits or approvals to export groundwater. As of press time, the initiative was still under review by the County Counsel's Office, which writes a "title and summary" for the measure before it's circulated. If its proponents can gather 8,580 signatures in support of it, it will go on the November 2018 ballot. Ever since agricultural stakeholders in North County began a failed campaign to start a basin-wide water district in 2013, skeptics have raised alarms about the potential for private water banking in the basin. In response to those concerns, SLO County crafted its own groundwater export ordinance, which requires any proposed out-of-county groundwater exports to receive a discretionary permit. 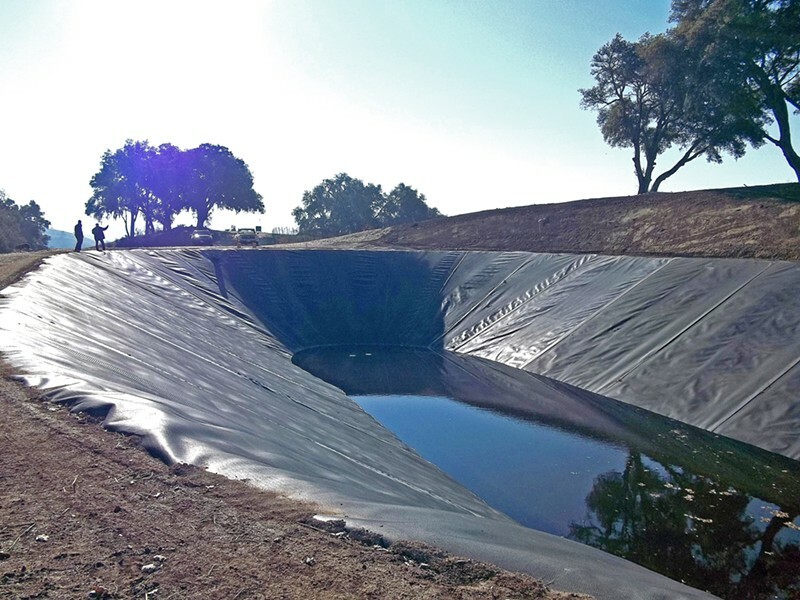 In addition to that safeguard, the two new water districts near Paso Robles, representing many of the larger farms and vineyards in North County, were approved under the condition that they don't export or sell groundwater. "I'm not aware of anyone who has any intentions to export water out of the Paso Robles basin in any way, shape, or form," said Matt Turrentine, an elected board member for the Shandon-San Juan Water District and co-owner of Grapevine Capital Partners, which manages Harvard Management Company vineyards near Shandon. "People are just skeptical and suspicious of money, and I get that. But everybody here is actually eager to play by the rules and do the right thing so there's water to continue farming our crops." Still, initiative co-signer Grewal, a Creston landowner and member of the county's Water Resources Advisory Committee, said the "bullet proof" nature of a voter initiative is necessary to deter water banking. He described the red tape that currently restricts water exports as, "invisible red ribbon. It looks pretty but it really doesn't do anything." "The only way is to have a ballot initiative," Grewal said. "If everyone in play claims they don't want to export water, why wouldn't we want something that's a little more bullet proof? ... This protects all the basins in the county and it protects them equally." Turrentine said it's possible that he and other members of the Shandon-San Juan Water District would support the initiative, but he said he hadn't seen a copy of it yet. "We'd all like to dispel these conspiracy theories," Turrentine said. "I think this is probably unnecessary, but I support a complete ban on exports." Dana Merrill, president of the Estrella-El Pomar-Creston Water District and owner of Mesa Vineyard Management near Templeton, also told New Times he hadn't read the measure but could support it. He added it would need "a lot of input" from groundwater stakeholders countywide.